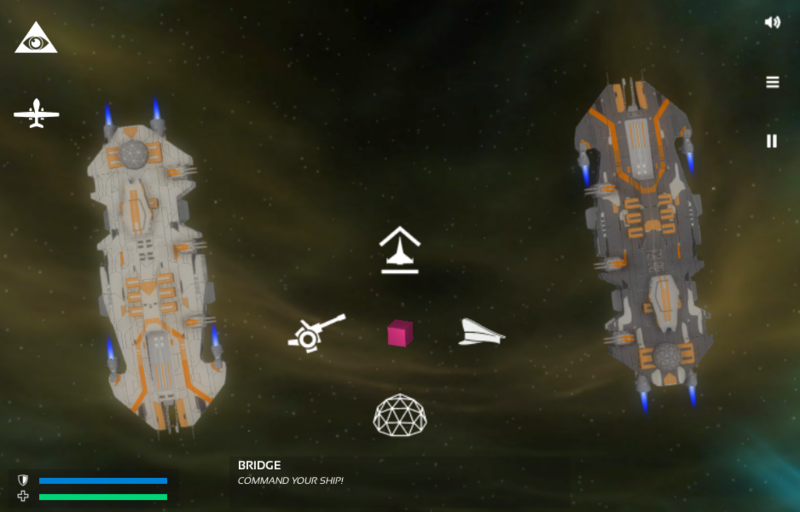 You are in a one-on-one space cruisers battle, in charge of the tactic decisions and actions performed by the vessel and the crew under your command. A strategy game that you can play in short bursts, free from some of the more monotonous elements classic on the RTS genre. Some touches of action will also play a role on a fast paced tactic battle, in which there is no greater resource than time, but tactic & strategy is not replaced by it. Yes! But your units don't need you to follow them to the toilet: the player does not directly interact with individual unit movements & maneuvers. Also, this game doesn't have hours long battles, terrain panning, resource gathering, minimaps, base building or micromanagement! 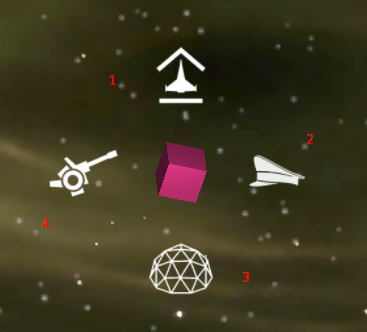 Time based ecomony: no bizarre crystals to gather, seconds are your resources. Free of the heavyweight elements of the genre. Command your cruiser to deploy units, change priority targets, strategically bolster your sectors, or simply order your gun crews to fire a round of devastation over the enemy cruiser. 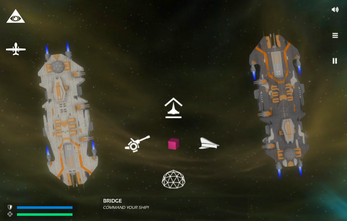 Although with many of the battle mechanics done, SUMOCRUISERS is a game prototype, of a twin match. It is unlikely that any development iterations will ensue, but with that in mind, you're welcome to write any comments you feel worth sharing. You can download it or play on the browser at the top. From the hangar you deploy units to battle. Droids will repair your cruiser main hull integrity. Fighters will engage enemy fighters and bombers. Bombers will bombard the enemy cruiser ignoring its force shield. The commander section will let you decide which engagement priority your fighters should have (enemy fighters, bombers, or droids). The reactor command will let you direct the reactor surplus either to the hangar, the shield, or the cannons, adding a boost to the desired option, that will make that sector slighlty work faster. The artillery sector will let you open fire with the main cruiser guns, optionally firing 1, 2 or 3 batteries. Read the hud description that shows up at the top of the screen for concrete details on each option times, etc. The shield will always auto recover after absorving an impact. If the enemy cannon fire is too thick, the shield will deactivate temporarily and enemy fire will reach the main hull. Bombers will pass through the shield, so this bombing wont be stopped by the shield defense. There are some battle powerups that have a cooldown. You will see them on the top left. You have a limited time to spy on the enemy cruiser activities (what its deploying), and status (hull integrity and shield health). 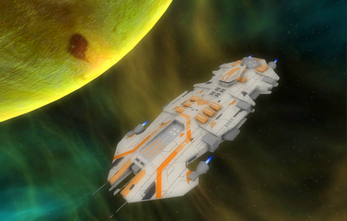 Costi from SolCommand for his cruiser model. Bernd Montag for hisSansation Font. Santiago "Antipirina" Franz for his feedback and advise. The Pax Britannica Team for an awesome game that inspired me to work on Sumocruisers. "Black Vortex" & "The Descent"
Special Thanks to the womans of my life, my wife and doughters, for their patience. I Love you so much girls!